Recently, Bangkok, Thailand has been hit by heavy air pollution, with smog increasing and PM2.5 levels climbing. Air pollution in is expected to continue for a month and the local authorities advsie citizen wear masks when outside. People are suffering from severe smog, air purifiers have been sold out, most of them couldn’t find a purifier in a store or online.This brings great inconvenience to people’s life. However, when people rush to buy air purifiers, it seems they need to how to choose a good one. No matter what type of air purifier they are, they are filtered through the surrounding air and then released from it, according to Olansi, an air purifier manufacturer. They can filter pollutants from the air and use various methods to purify the air to a healthy level without pollution. Below is the common purification technology. 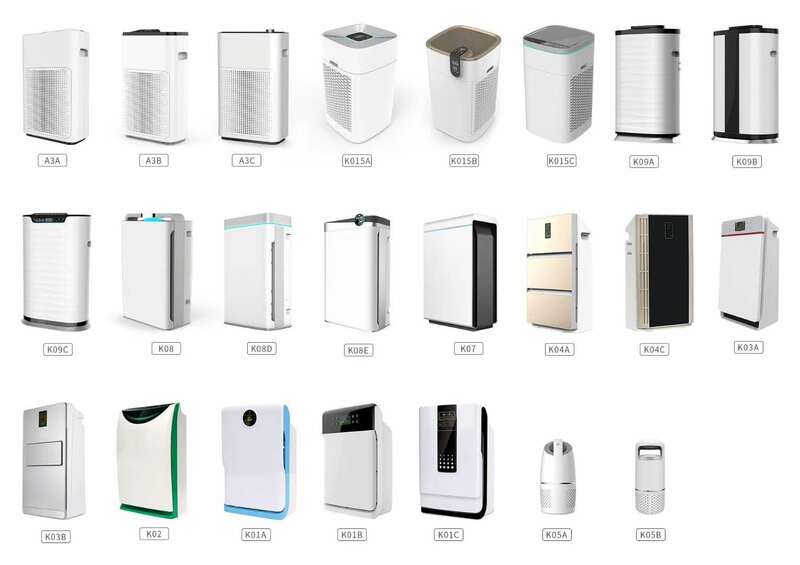 Different air purifiers have different purification effects. 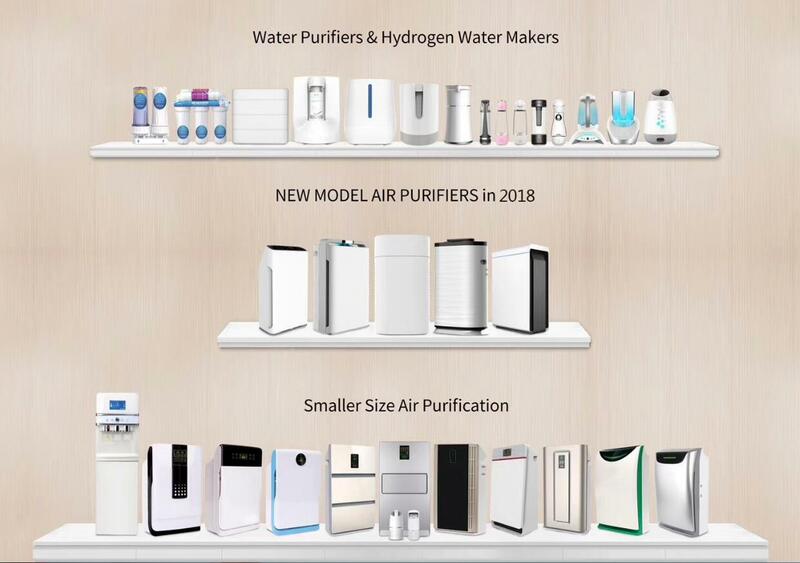 Air purifiers can also help you avoid some potential risks of breathing in daily life, and different levels of air purifiers have been developed. 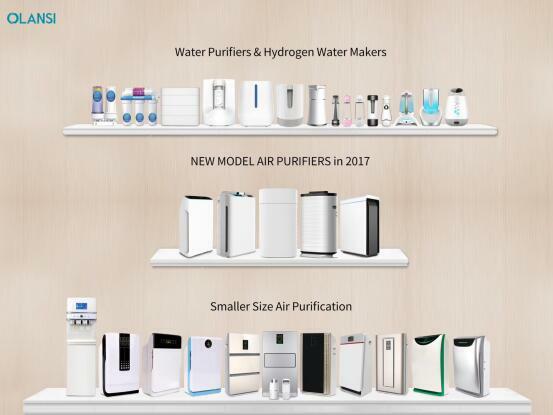 According to different pollutants to use different filtration technology, air purifier manufacturer Olansi to explain to you, when the face of different air pollution, what kind of purification technology should be used. 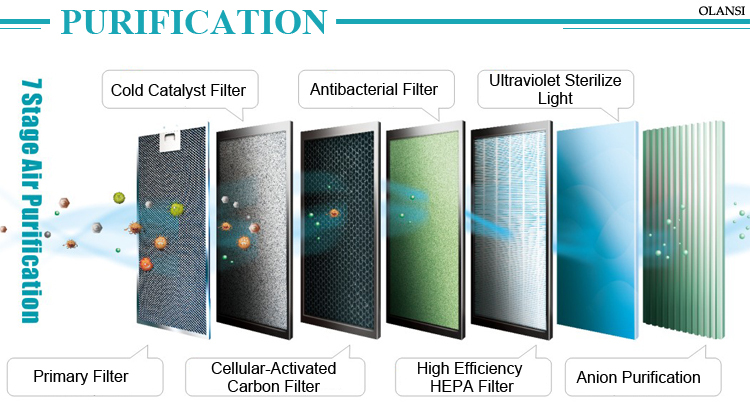 The HEPA filter’s air purifier removes most 0.3 micron particles. In the daily living space, the HEPA filter can be pre-filtered to remove coarse particles, and it is designed to control harmful pollutants in the air.And our most common allergies are caused by particulate matter, especially mold spores.Poor quality air purifiers won’t do anything for air pollution, and here Olansi has a trick for you, when purchasing air purifier, is to making sure the filters are made of fiberglass or other synthetic materials. 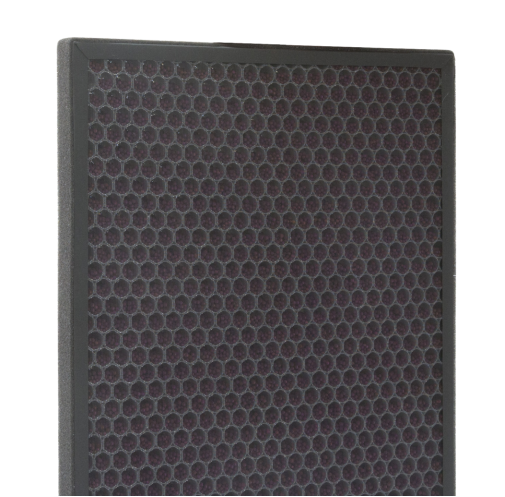 Activated carbon air filter can play a very good role. Examples of VOC are formaldehyde, benzene and dichloromethane. At room temperature and in the air, they can seriously damage the lungs, liver, kidneys and nervous system. 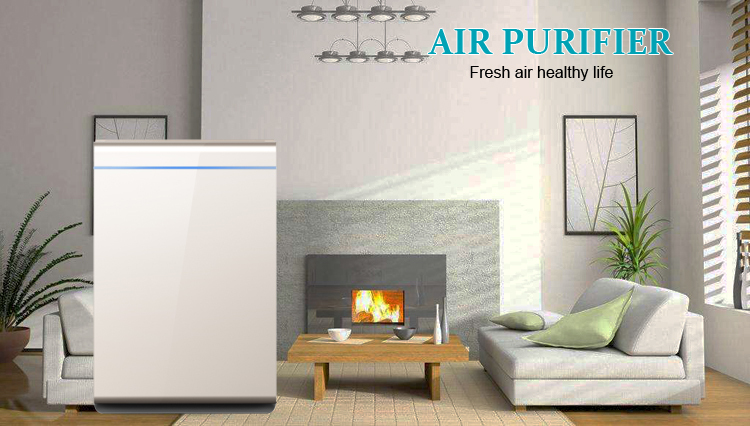 As a manufacturer of air purifiers, we have been working for a healthier living environment. Adhering to the concept of green technology, we have been committed to promoting the iteration and application of health and environmental technology. 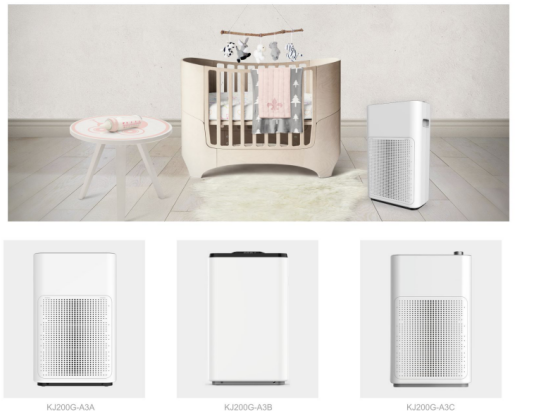 Olansi Health Care provides air purifier OEM/ODM service, which has advantages in both product modeling innovation and product quality and price. Welcome distributors, wholesalers, traders, contact and cooperate. Everyone loves to spend most of their time at home because it is the most comfortable and free of pollution space to live, but today dramatic climate changes and congested structures of housing has made our homes most polluted places making it difficult for us to breathe fresh air and spend a quality time at home. Air purifiers ha never been as important as these are today and they play a vital role in maintaining a good overall health. Air purifiers not only clean the polluted air inside the home, but also provide a fresh and harmless air for better functioning of your lungs. Picking the right air purifier can be a trick when you are buying it for the first time and you don’t have any experience. We are going to help you choose the right air purifier that will not only provide efficient use but will eliminate all pollutants from your home. A multi-functional air purifier removes airborne particles and absorbs household gases and odor, making it a clean and chemical free air inside your home. 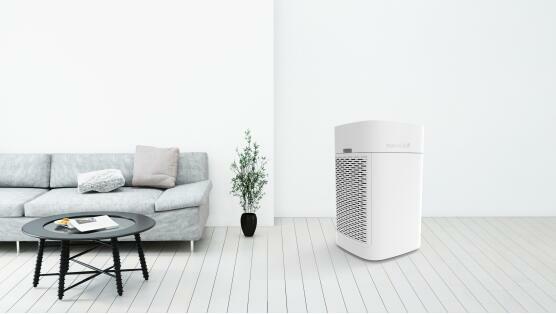 Let’s introduce you to the most efficient, made with state of the art technology and high performing air purifier system. This is the best air purifier buying guide to help you with the most suitable and highly functional air purifier. Olansi brings high-powered, modernly built and portable air purifier system that works perfectly in your home. It comes in a sleek, compact and top-rated air purifier device on the market. It equips high charge ionizer with 20 million/cm3 capacity that is ideal to clean a large number of air particles which may cause infections if not treated properly. Olansi air purifier has the capability to remove 98% bacteria with dedicated UV sterilizer to control the bacteria present in the air. An energy efficient system that makes less noise while purifying the air inside a home and don’t let you bother when used constantly in your home. It adds multiple filters into a single device, making it an ideal for eliminating bacteria, allergens, dust, and molds from the air. 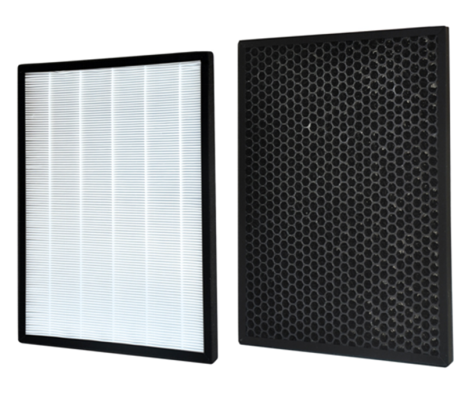 It places a series of filters in a systematic way to completely address the polluted air that barely let any dust, odor or particles pass through the filters. 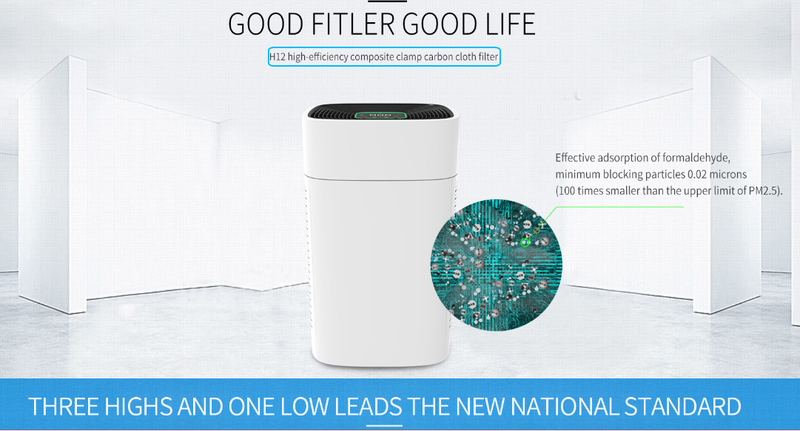 This air purifier adds pre-filter, cold catalyst filter, honeycomb activated carbon, anti-bacterial filter, HEPA filter, and Anion purification layer to ensure 100% air cleaning that offers a long-lasting impact on your well-being. The Olansi air purifier is easy to control with the remote as well as with buttons to give easy usage of the device. It has a high clean air delivery rate, i.e. 320m3/h to neutralize the airborne contaminants with the quick speed. It is one of the best rated air purifier on the market in the most economical price with plenty of features. Olansi air purifier does offer everything you need in a modern air purifying system that fits all your needs and does a wonderful air purifying job in an efficient manner. Lesser hazards: Allergies, such as sneezing, runny nose, tears, throat discomfort or pain, asthma, redness of the skin, etc. Heavier hazards: Carcinogenic, nasopharyngeal, colon, and brain tumors. It can also cause fetal malformation or even stop development. First of all, we should know where the decoration formaldehyde pollution comes from. There are several materials would release formaldehyde, such as Glass cement, wooden floor, Wood furniture or cabinets, Floor adhesive, Latex paints and other coatings, Wallpaper and Textile. As we know there are so many materials would release the formaldehyde, so how can we avoid the damage of formaldehyde pollution? 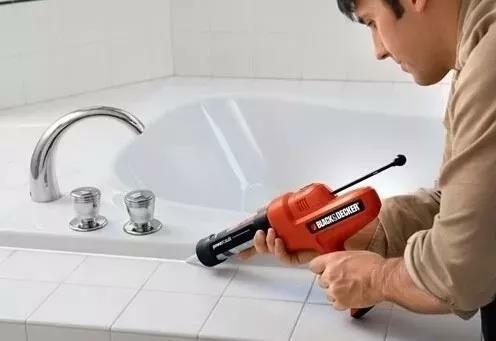 Apart from maintaining good living habits and adopting some daily air clean assistive measures (including air purifiers), the most important thing is to do preventive work during the renovation and renovation, and control the toxic chemical pollutants within the scope of conformity to ensure the indoor air quality passes. Decoration pollution is caused by non-environmental materials, but even with environmentally friendly products, decoration may not be able to sit back and relax. Even if individual inspections of building materials are in line with national environmental standards, the use of too much, the quantity has become a qualitative change; it may also exceed indoor air pollutants. If designing, according to the area of the housing to consider the best use of the material, projected environmental protection index, you can effectively prevent the use of materials due to unreasonable decoration pollution caused. When purchasing furniture, paints, plates, and glues, pay attention to their environmental protection and try to select environmentally-friendly materials. If you need to use a large number of plates in interior decoration, you should try to choose the E1 and E0 environmental protection plates produced by the regular manufacturers; the best coating depends on whether there is an authoritative test report issued by the country, and the formaldehyde purification rate and purification durability are two indicators have to consider. When selecting a decoration design, a single material cannot be used excessively. It is best to use materials such as wood, stone, glass, and iron. Because different materials contain different contaminants, if a single material is used too much, even if the product is qualified, the total amount adds up. The total amount of such contaminants contained in the material is relatively easy to exceed the standard. Therefore, try not to place large-size or large-area furniture in a small space, and not to choose the same furniture as the floor material, especially for families that have paved composite floors and other artificial floors. 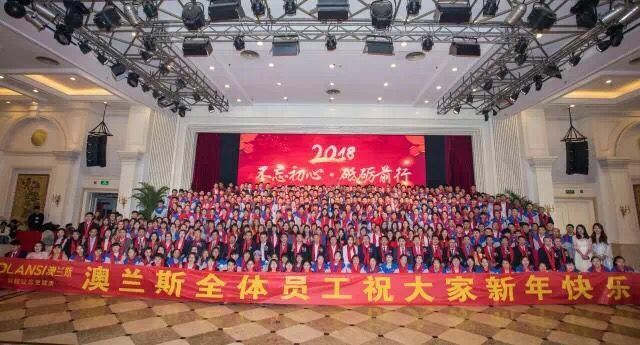 General new house decoration pollutant content will be relatively high when just finished, ventilation for some time, it is best to go through the air testing of professional agencies, do photocatalyst in addition to formaldehyde treatment, indoor air quality standards can only stay. For a simple renovation or renovation, we must pay attention to more windows and air convection. Clothes stored in newly-renovated furniture should always be taken out for drying, so as to prevent households from having toxic substances that are volatilized and adsorbed on clothes, causing damage to the body. 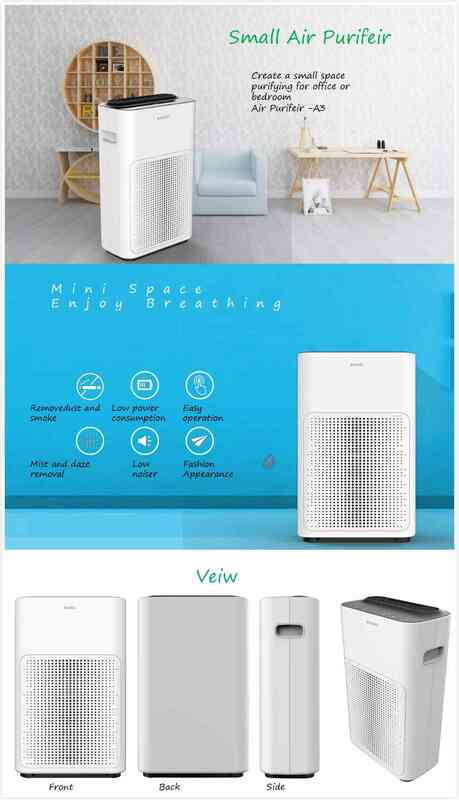 Air purifier can absorb, purify or convert various air pollutants (generally including PM2.5, dust, pollen, odor, decoration pollution such as formaldehyde, bacteria, allergens, etc. ), and effectively improve air cleanliness. In recent years, with the continuous improvement of people’s health awareness, more and more people have realized the necessity of exercise. Running, as the simplest and most effective way to exercise, can be said to be deeply respected by the exercise crowd. WeChat friends circle in this “big suntan” on the number of steps, also gradually began to be popular. It’s just that running is supposed to keep you healthy, but nowadays, with the development of industry, air pollution is always a difficult problem to solve. 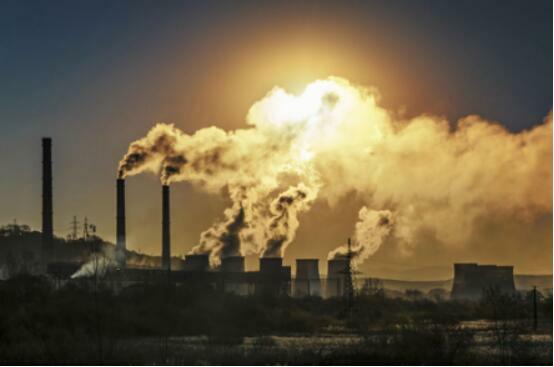 Especially after the winter, heavy polluting enterprises such as steel, coking, casting, building materials and non-ferrous chemical industries that have implemented peak production return to production one after another, resulting in a significant increase in pollutant emissions from industrial enterprises. The online monitoring results of “2+26” urban viaduct sources show that the emissions of SO2 and NOx in the region increased by 10% and 30% respectively in the first half of march, after the end of the peak production in autumn and winter in mid-march. These increased air pollutants, as well as high concentrations of allergens such as mold, pollen and dust in the spring air, can enter the body with the gulp of breath during running, endangering health. 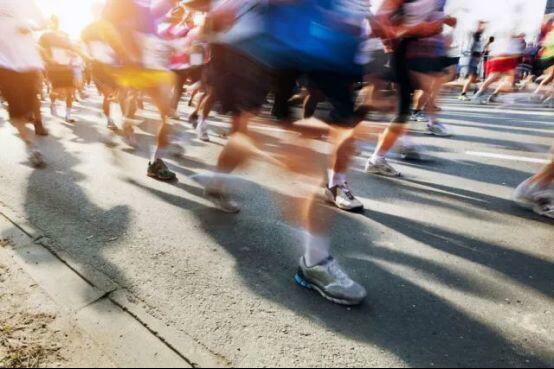 Therefore, when running, we should try to reduce the harm of air pollution. At ordinary times, we should pay attention to the changes in the air quality of the city we live in and choose to run outside when the air pollution is light. The route of running can choose the park, the garden in the community, water edge and other areas with dense green plants, the time is best to choose the afternoon, after rain and other air quality relatively good time period. After the end of the run, you should also clean the exposed skin, mouth and nose in a timely manner. If the air pollution is serious that day, it is still recommended to reduce going out, you can use professional equipment such as treadmills and barbells for indoor exercise instead. But in general, due to the liquidity of air, indoor air quality is not good, and often in an indoor activity time is taking longer than the outdoor, the U.S. environmental protection agency and the department of health confirmed Canada: 68% of the human disease is caused by indoor air pollution. It is difficult to clean the air by the natural environment in a short time. For the health of the family, it is necessary to equip the home with an olansi air purifier ols-k15. OLANSI Air Purifier ols-k15 has an applicable area of 100m2, equipped with double filter design, high density and double output clean air. 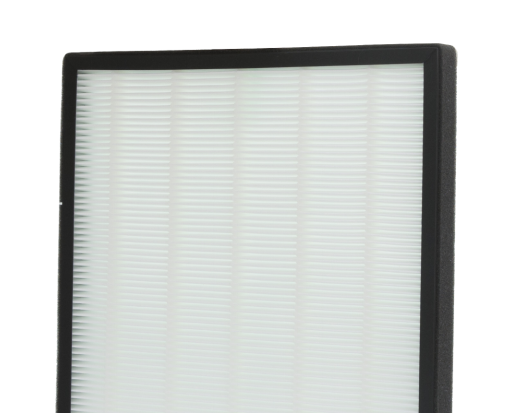 Large area of thickening filter can effectively filter in a variety of indoor air pollutants, purify air particulate matter quantity is 800 m after/h (CADR), particulate matter accumulation amount of purification (CCM) level for P4, particulate matter purification efficiency level of high efficiency, can quickly purify PM2.5 in the air, for the family to provide a clean environment to breathe. It can effectively deodorize, sterilize, inhibit 7 allergens such as mold and pollen, and decompose pm2.5 and pm1.0 dust sensor rapidly. It can effectively improve indoor air environment. For the sake of health, stop running with your life on heavily polluted days. Clean up the indoor air and work out healthily at home.